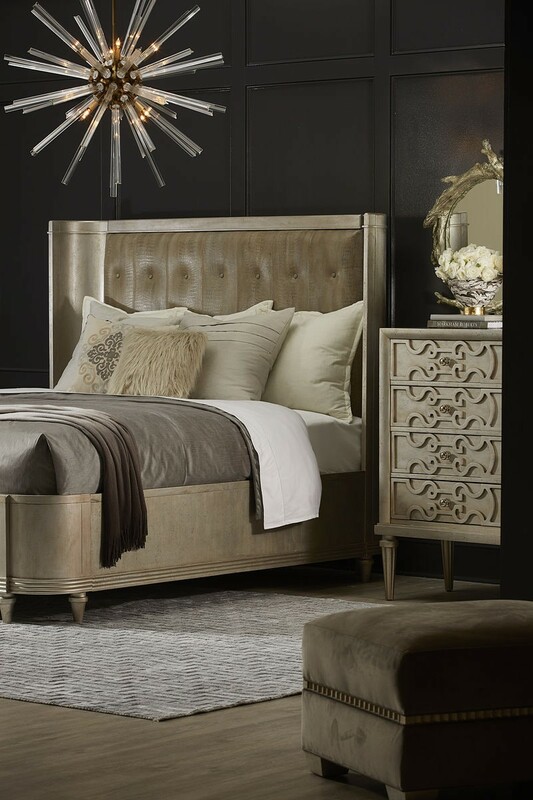 The non-stop glam of the Lloyd Upholstered Shelter Bed evokes the grand old days of Hollywood, contemporized for today’s bedroom. 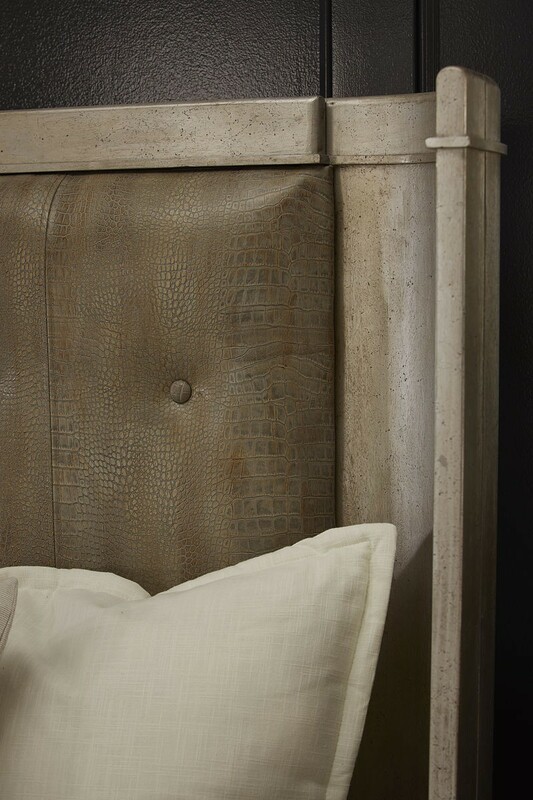 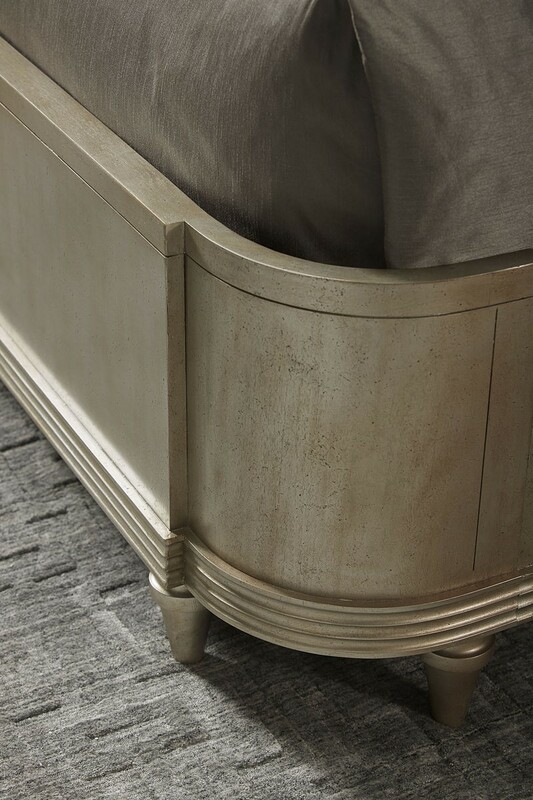 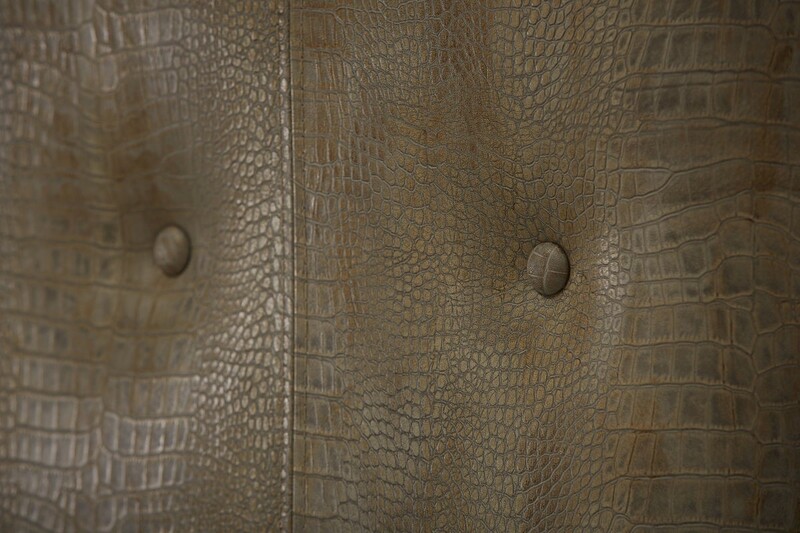 The streamlined frame is finished in Bezel, a silver painted finish that is gently rubbed and glazed to reveal a warm undertone; the smooth wood finish contrasts beautifully with a button tufted faux croc leather panel inset in the headboard. 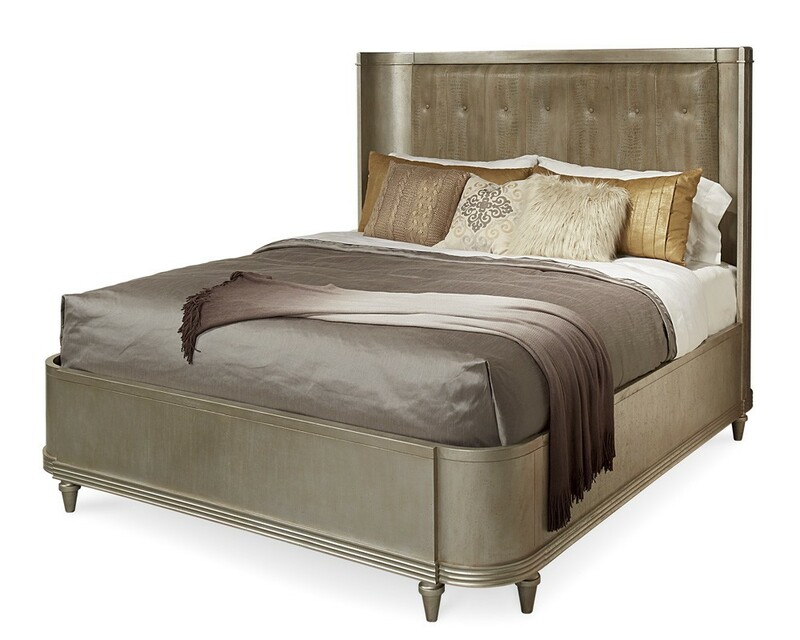 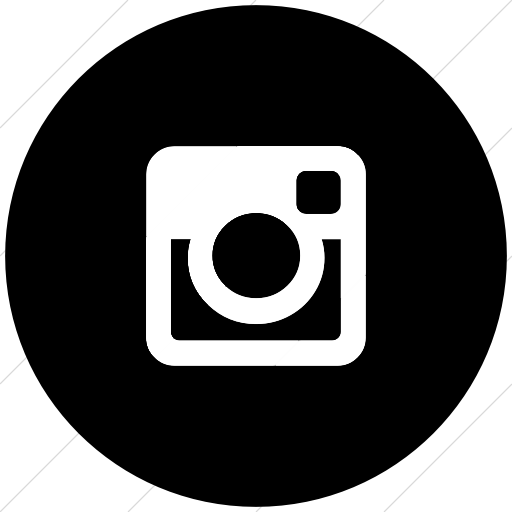 The bed is available in Queen, King and California King sizes.